On this page you'll find a selection of the best Eighties Songs by the British heavy metal band. 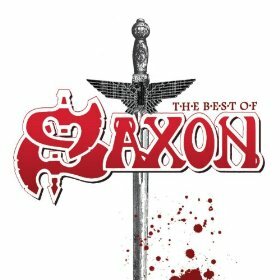 The video clip features Saxon performing live at Top Pop '80 (according to the uploader) and features some good old-fashioned heavy metal. 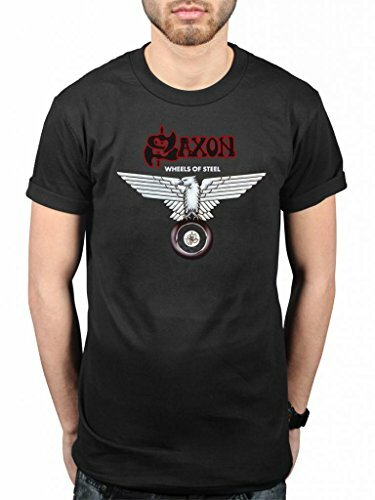 Wheels Of Steel was Saxon's first charting single and reached #13 in March 1980. It was the title track from the album which reached #5 in the UK, and was one of eight successful albums to reach the UK Top 40 album charts during the 80s. The heavy metal band from Barnsley, Yorkshire released their debut self-titled album in 1979, and Wheels Of Steel proved to be a highly successful follow-up album. 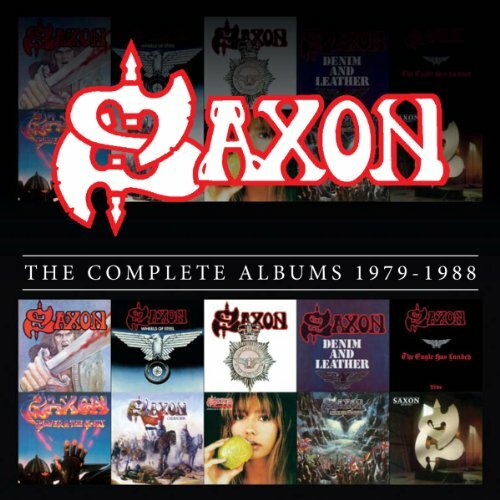 Saxon had no US Top 40 hits, but four other singles made the Top 40 in the UK and these were; 747 (Strangers In The Night) which reached #13 in 1980, And The Bands Played On (#12 in 1981), Never Surrender (#18 in 1981) and The Power And The Glory which reached #32 in 1983. 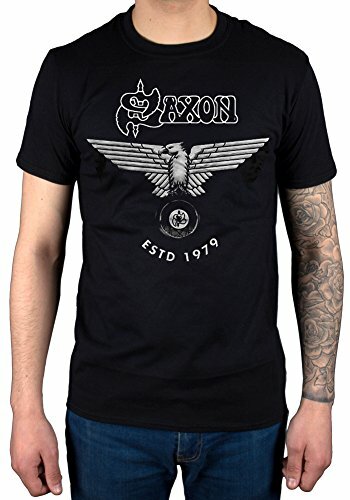 As you can see, all of Saxon's commercial success came during the 1980s. Disclosure:Simplyeighties.com is a participant in the Amazon Associate affiliate program. This allows us to earn fees from linking to products at their website. 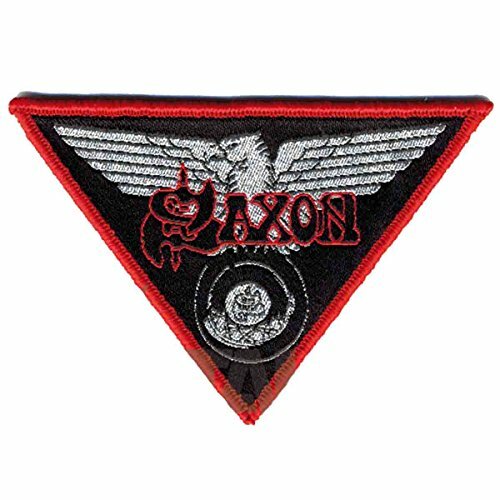 This clip features an excellent live performance by Saxon in 1983. 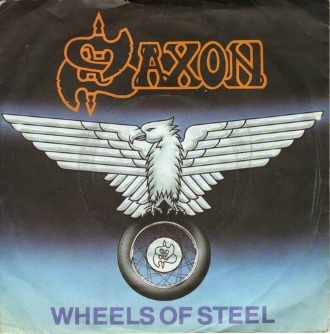 The single was lifted from the album Wheels Of Steel, and the band have played the song on every tour since its release. 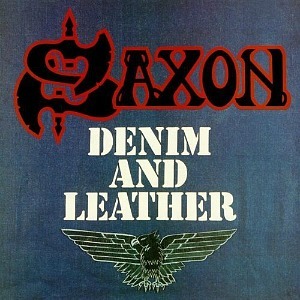 Released during 1981, Saxon's third Top 20 hit in the UK was the lead single from the band's fourth studio album Denim And Leather. Written by lead singer Biff Byford, the lyrics refer to performing at the Monster Of Rock Festival during 1980. The follow-up single to And The Bands Played On reached #18 in the UK during 1981. 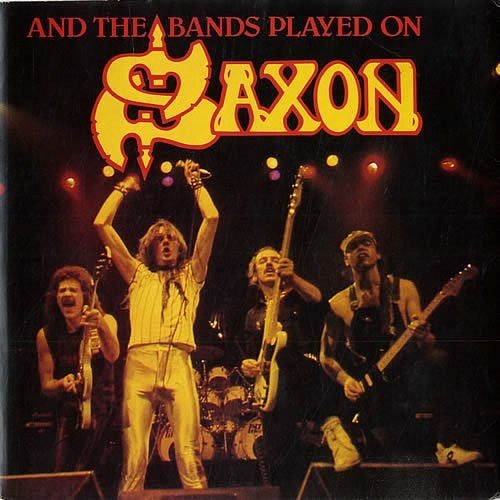 The clip above features Saxon performing "live" on Top Of The Pops on BBC1. Of course, the music itself is just a backing track as with virtually every other performance on the show during the 80s.